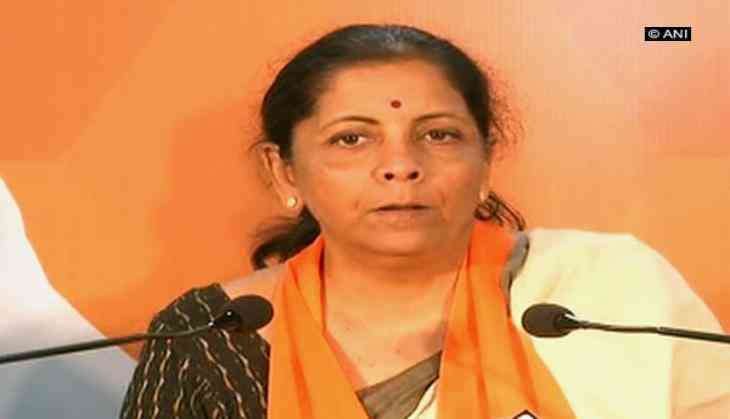 Defence Minister Nirmala Sitharaman on Friday said that the entire might of the Narendra Modi led National Democratic Alliance (NDA) government has been invoked to pin the culprit, Nirav Modi, in the Punjab National Bank (PNB) fraud case, immediately after it came to light. "It is the Modi government which has clearly used every step to tie out the loose ends. The entire might of the state has clearly been within the framework of the law. Not just the IT department, the Enforcement Directorate (ED), the Serious Fraud Investigation Office (SFIO), the Central Bureau of Investigation (CBI), even the Ministry of External Affairs for revoking the passport; it has all been quickly done," Sitharaman said while addressing the media here. She also lashed out at the Congress Party and said that the 'original sin' was committed during the United Progressive Alliance (UPA) tenure. "The original sin in this particular episode of Nirav Modi - Punjab National Bank was indeed committed in 2011. As always the Congress party indulges in such scandalous affairs, misuses position in government, tweaks systems to help themselves, quietly covers up everything that they do and when the Narendra Modi led government comes with a clear commitment to unearthing all the scams, finds the corrupt, the corrupt practice and takes action comprehensively, instead of explaining as to why it happened so, during their period, the allegation is being leveled at us," she said. She also blamed the Congress for misleading the country. "The Congress party's allegations is not just an allegation against this government but misleading people is just not going to add up. A concerted repeating of lies or misleading people maybe a strategy the Congress would like to adopt. But I am sorry, the facts are facing you and it is for them to understand," she concluded. For the unversed, Punjab National Bank detected a 1.77 billion dollars scam in which jeweler Nirav Modi acquired fraudulent letters of undertaking from one of its branches for overseas credit from other Indian lenders. The scam was started in 2011 and was detected in the third week of January this year, after which the PNB officials reported it to the concerned agencies. Meanwhile, the PNB filed a second complaint with the CBI on February 13. The CBI had received the complaint from PNB on January 28 and a case was registered in the case on January 31.